Dundee Print Collective have a preview of their latest work at WASPS Meadowmill this weekend, so we caught up with Scott Hudson to find out more about what they do: which also lent itself beautifully to forming the 'D' of our Print Studio A-Z! Scott works in DCA Print Studio and Learning team during the week, but outside of this DPC is a project that he makes happens within the magical four walls of our Print Studio. Hi Scott! 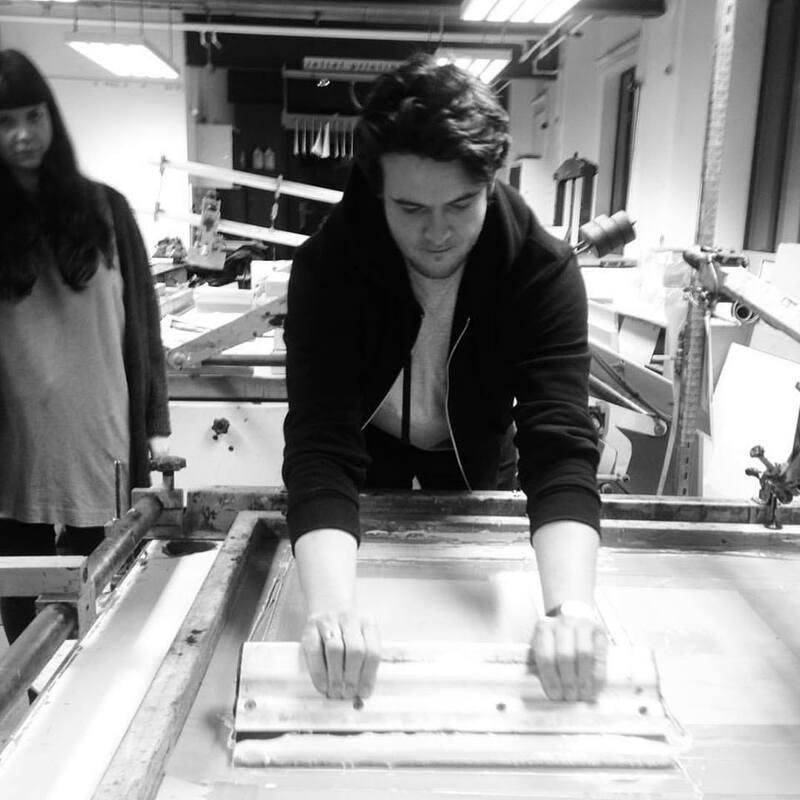 Tell us a bit about Dundee Print Collective and how it got started? Dundee Print Collective (DPC) came out of the IMPACT 8 International Printmaking Conference which the city of Dundee hosted between many partners in 2013. There were a lot of fantastic print based exhibitions, a few of which were produced by other print collectives from around the world. A group of artist friends (including me) decided that we would like to form our own collective here in Dundee. So in 2014 with the full support of DCA and Annis from the Print Studio, we were allowed to use DCA Print Studio as our base. Can you tell us a bit about what kind of work people have been creating so far? 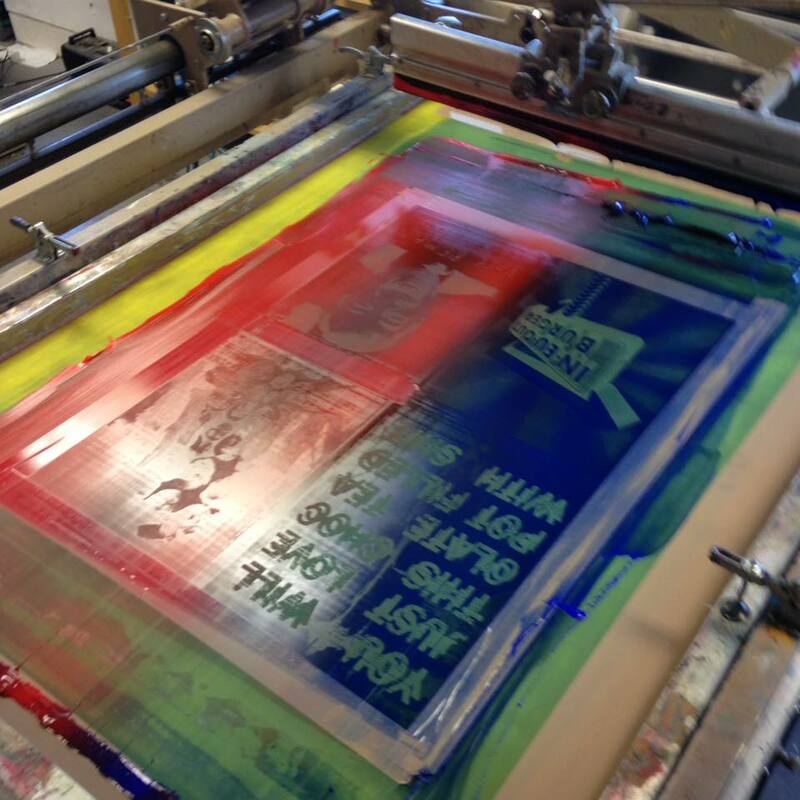 We have had five projects over the last two years, where all the work has been made by screen printing. We decided in the beginning DPC would set a design or project brief with certain parameters. The prints had to be a specific size (for example A3) and the artist would be limited to using one colour plus black. This was decided to make the logistics of printing with so many people a lot easier, but also it would mean our shows would have a strong bold aesthetic collectively, even though there would be many individual styles. For three of our projects, Edition One / Two / Three, there was no specific content theme, however two of our other projects, Silk Road - Dundee Print Collective and EU In.. EU Out.. EU In.. EU Out.. Shake It All About, Dundee Print Collective's EU Referendum Hokey Cokey had specific themes (clues in the titles!). For all our projects, everyone prints a limited edition of their prints (usually 10). This is then donated back to the collective by the artists (who have paid a project fee of £20). The artist will receive back one of their prints (possibly also with an artist's proof) along with a print from two other participating artists, from a blind swap of art works. DPC retains an exhibition copy and the remaining prints go on general sale for just £20 at our preview events. Any funds raised go back into the project and pay for materials and paper used in the studio. What are some of the highlights of the project so far? Our preview events are always a good bash and a reward for everyone's hard work over the previous months. "DPC had been born out of the previous conference in Scotland and now we were exhibiting in a major printmaking event." However we were very proud and pleased to have exhibited at IMPACT9, Hangzhou - China in 2015 with our Silk Road - Dundee Print Collective project. It meant that the story had come full circle as DPC had been born out of the previous conference in Scotland and now we were exhibiting in a major printmaking event. 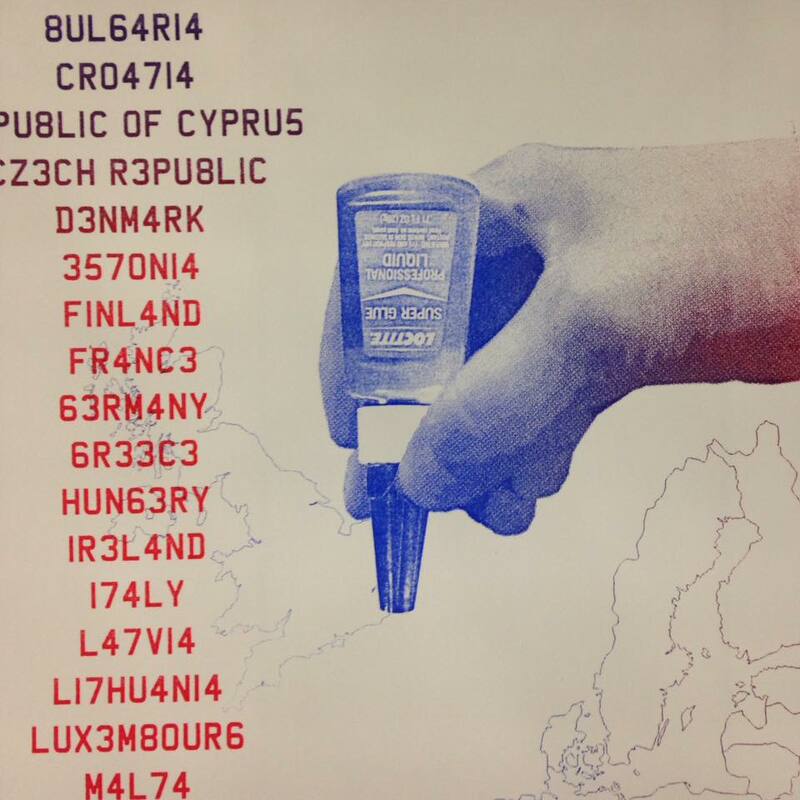 The night of the EU Referendum, DPC hosted an event as part of Print Festival Scotland, our EU In.. EU Out.. EU In.. EU Out.. Shake It All About, Dundee Print Collective's EU Referendum Hokey Cokey. It was a fun evening with politica; posters printed by DPC providing the backdrop for live music and an EU pub Quiz. Are there any stories of success from individuals that you'd like to share? "We are very very proud of folk who have never printed, or done any art since leaving school." When we initiated DPC we decided that we would do something different from other artists' collectives and be more open and inclusive; we would become a collective of friends, strangers, artists, printmakers, students, artists who couldn't print and individuals who had never done art. 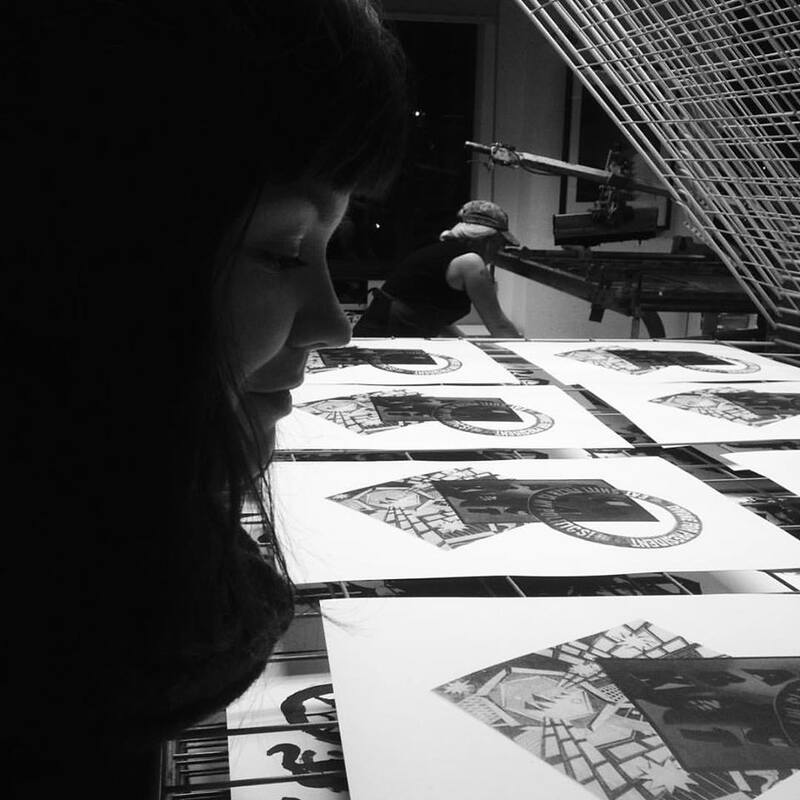 We wanted DPC to encourage people to use printmaking as medium of self expression, education and social engagement, and we kind of knew this ethos would work here in Dundee. It would be hard to highlight individuals' stories as successful because we think everyone involved, including experienced artist/printmakers have taken something very positive from being involved with the project. We are very very proud of folk who have never printed, or done any art since leaving school, who threw themselves into a new environment, surrounded by creative types and got on and made brilliant prints. Some of these folk now have the printmaking bug and confidence to keep on creating and printing. Why do you think it's important to have groups like DPC encouraging people to get printing? Printmaking as a whole takes in a wide and expansive and diverse range of creative mark making. 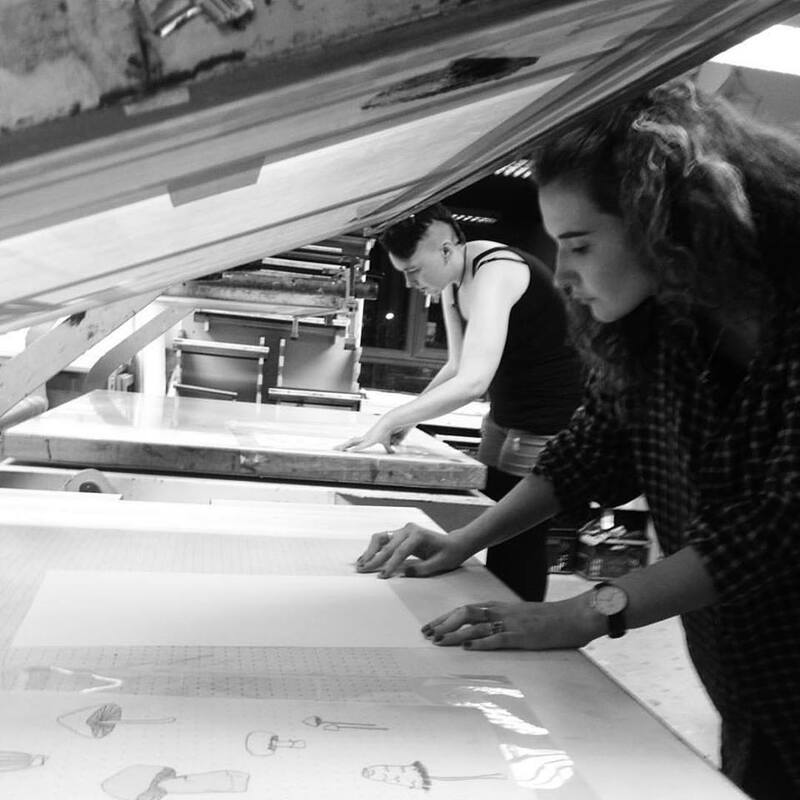 A lot of the processes of printmaking, such as screen printing, provide the perfect opportunity for individuals to educate and express themselves, as the image making isn't just about whether you are naturally good at drawing or painting. "We would become a collective of friends, strangers, artists, printmakers, students, artists who couldn't print and individuals who had never done art." 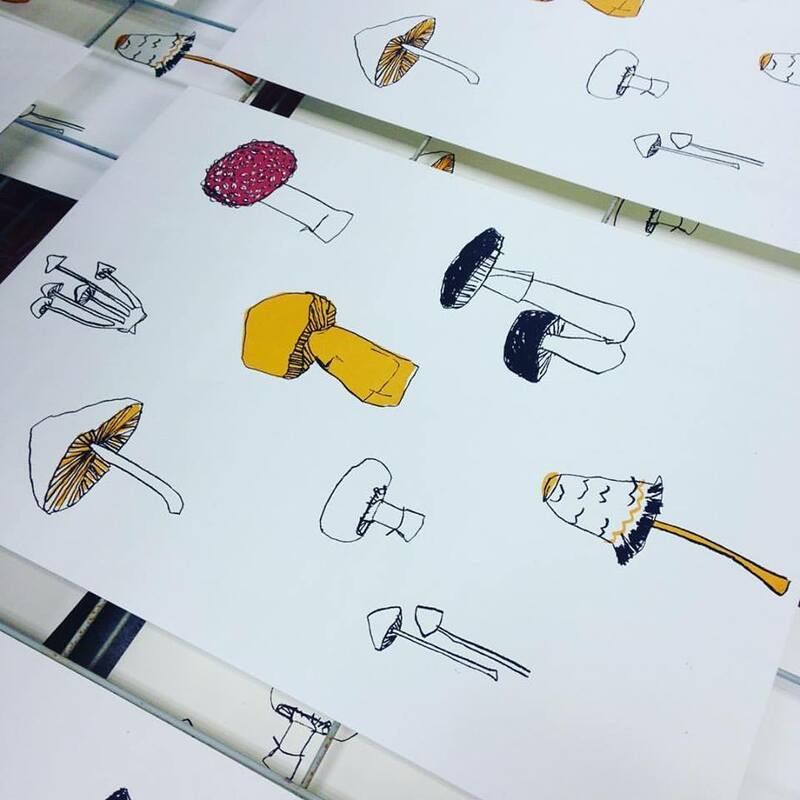 Dundee Print Collective is just helping people to engage, in the friendly and creative environment of DCA Print Studio, with printmaking, and making it clear that art or any creative expression is for everyone. Our latest and fifth project Edition Three ..(confusing!) will be previewed this weekend at WASPS Meadowmill (Sat 17 December 19:00-22:00, Sun 18 December & Mon 19 December, 14:30-16:30). We have over 40 limited editions on display, once again produced by a mixture of people from many different backgrounds. All the artworks are A3 Portrait (easy to frame!) and we have pushed the boat out with this project spec and allowed the artists to use a maximum of two colours plus black...with amazing results. Dundee Print Collective think this is probably, overall, our strongest exhibition to date. Once again all the editions will be on sale for £20 each...bargain! And in true Dundee Print Collective style there will be great tunes and lots of libations. Thanks Scott for the interesting insight - a perfectly uplifting, feel-good story for this time of year! 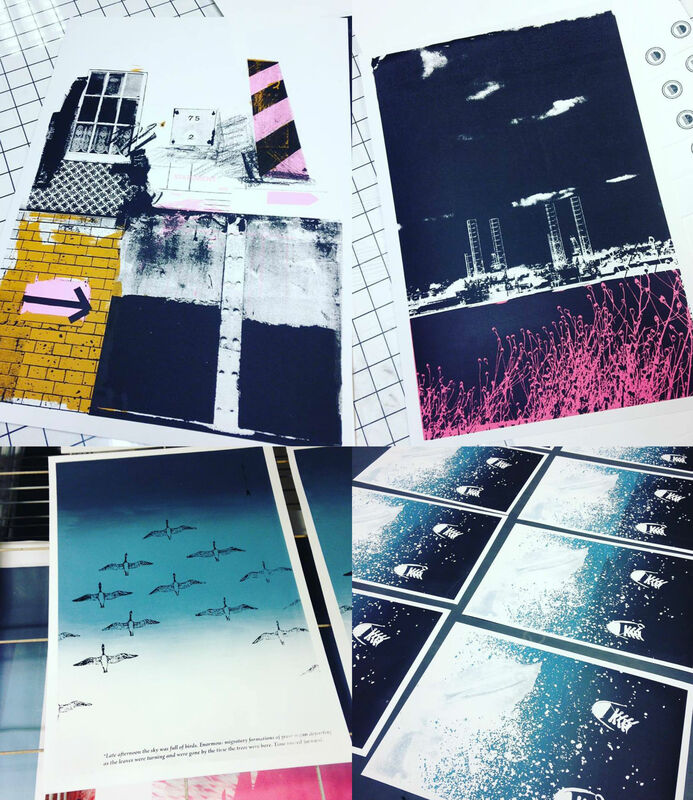 Head along this Sat, Sun or Mon to view the fantastic work of Dundee Print Collective, or have a look on their Facebook page here to keep informed of what they're up to. If you'd like to join the group, you can do so by visiting their closed Facebook Group here where the projects are published.